Owl is a typical teenager who doodles in maths class and is constantly texting her best friend- at least that what she thinks. Her mother, an artist who drinks jasmine tea and sketches winter landscapes gave Owl a name she would grow into, with her feathery hair and beaky nose. She avoids talking about Owl’s mysterious father, who Owl has never met. But Owl’s longing to know where she comes from is getting stronger and as winter approaches, the mystery begins to unfurl. Along with her best friend, Mallory and the strange new boy Alberic, Owl finds herself caught up in the adventure that is the discovery of her father, Jack Frost. How do you bond with the icon of winter? Although this novel is set for the most part in the real world, parts of it are set in another, ethereal world. It is the world of the changing seasons, and at the heart of it sits the court of Mother Earth. The problem: the guardians of this seasonal harmony have forgotten their purpose, and this could endanger not only Owl’s relationship with her newfound father, but also her life and the natural world. Owl is funny, at times sarcastic. The voice Amy Wilson created for her is distinct and fits her perfectly. I love how the descriptions of different characters fit the season they are associated with. “His copper eyes blaze in the near-dawn murk, even the freckles in his skin seem to glow…I step back, suddenly aware of how tall he is, how angular. There’s a wiry strength in him that I’d never really thought about before.” Can you guess? Then there’s the deep, instinctive friendship Owl shares with Mallory and the way their personalities complement each other and drive the narrative onwards. Owl finds herself with a mission, a calling bigger than herself and a place in a world beyond the knowledge of humankind. 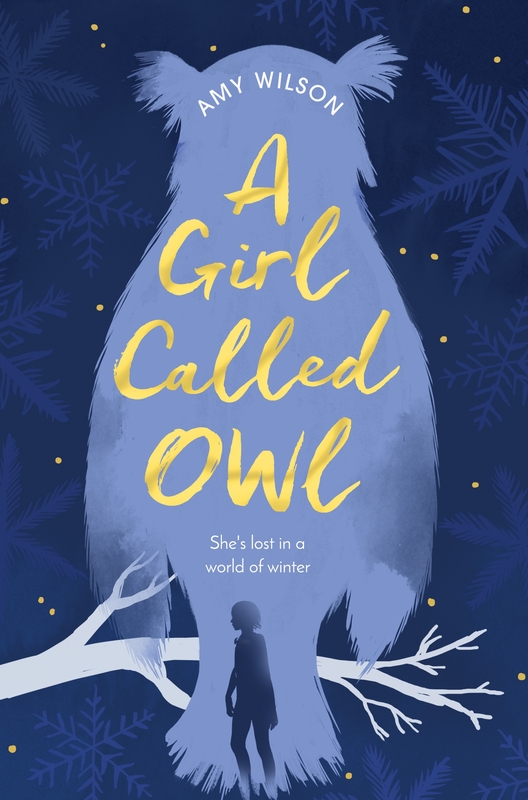 A Girl Called Owl is a spectacular portrayal of nature and its many faces, interweaving legend, fairy-tale, perseverance and friendship into a story that teaches that love and strength can be found in the most unlikely people. You can purchase A Girl Called Owl here. Let me know what you think on Twitter @typewritereduk !